Nicole Goss is from Omaha, Nebraska. 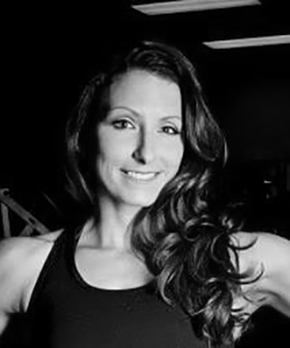 She received her degree as a Physical Therapist Assistant in 2008 at Clarkson College and also became a Certified Personal Trainer through AFAA. Nicole has 9+ years of hands on experience in the fitness industry as well as Outpatient Orthopedics, Acute, Rehab, and Women’s Health. She is a CrossFit Level 1 Trainer, USAW Sports Performance Coach, USAPL Club Coach, Pregnancy and Postpartum Athleticism Coach, and FMS Level 2 certified. Nicole loves spending her time traveling and being outdoors hiking, fishing, kayaking, and backpacking with her husband and two dogs.